If you are really into movies like I and my husband are, then you know how much fun it is to talk about your favorite ones. It is also really fun when you meet other people that are into movies as much as you are. You can compare the favorites of other people to your own. Now there is Rankography, the movie ranking website, where you can rank your movies by categories already created, or you can create your own category, rank your favorite movies in it, and share it with many other people that use this website. 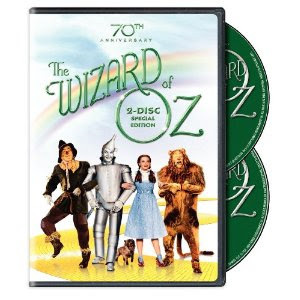 I signed up and ranked my favorite musical comedies or the musical movie The Wizard of Oz. The nice thing about all of this is that you can view other rankings in the categories that you like, and you might find a good movie that you have not seen before. If you are into Vampire Movies or Comedies from the 80's, then maybe you will find them in the Index of Categories. If you don't find them, then you can create them yourself. Then rank your favorite movies of those types, and watch others do the same. If you are a blogger or a movie reviewer, then this is a really good opportunity for you. You can sign up and create a profile with your rankings and have a good link to your blog on this website. Give them a look, and have some fun. paspas ang marathon dire da....thanks sa buzz tsang...nakakuha pod ko sa PU2 ug 5...parehas ta...ambot kung makaya ba kaha nako ug himo ron woi...gaduka naman ko...lol!